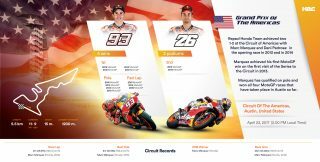 After spending one week back in Europe following the Argentine GP, Marc Marquez and Dani Pedrosa are heading to the Circuit of the Americas in Texas (USA), for round 3 of the MotoGP World Championship. 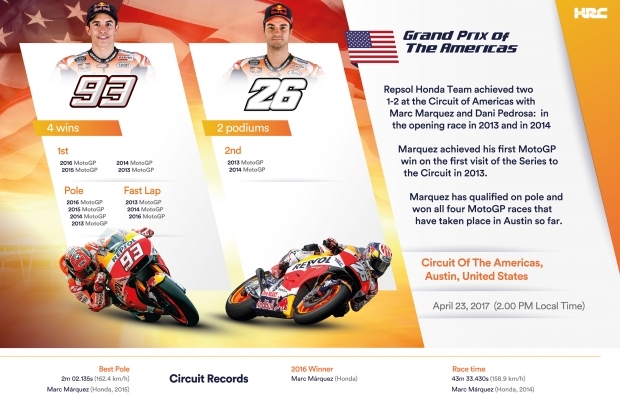 Repsol Honda Team have achieved two 1-2 finishes in Austin with Marc and Dani: in the opening race in 2013 and also in 2014. 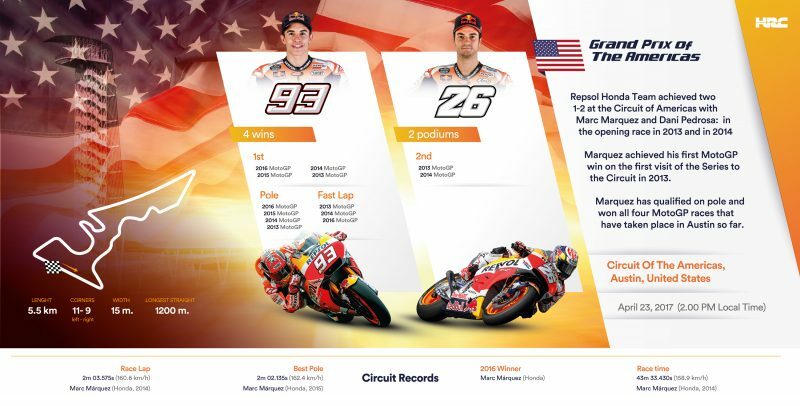 For his part, Marc has never lost at the Circuit of the Americas (which was also the scene of his first-ever Premier-class victory, in 2013), nor has he started from anywhere but Pole Position in the four times he has raced at the track. 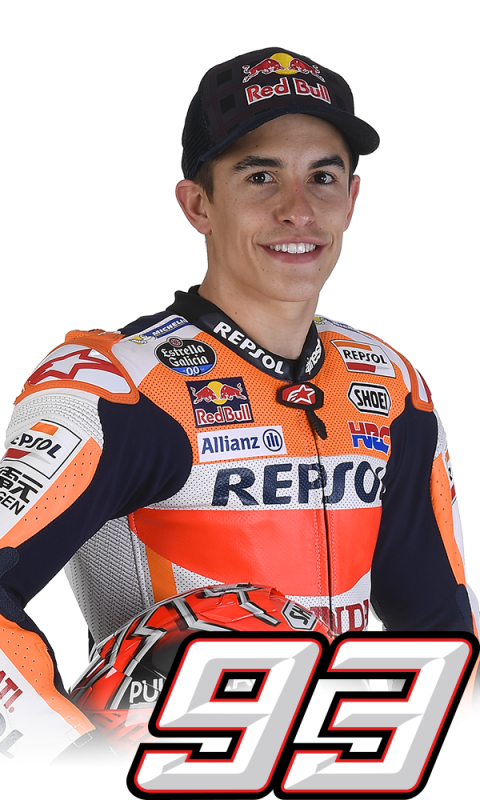 "After the Argentina race, I’m happy to go to a track I love as much as Austin, although of course I would have preferred to arrive there in a better position. Anyway, another race weekend is about to start and we’ll give 100% to try to get our first podium this season. I have great memories of Austin, and for me it’s one of the best venues on the race calendar. 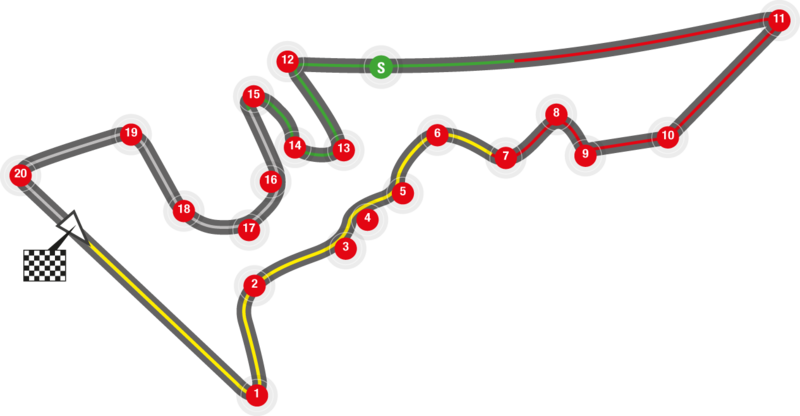 I like the layout of the track, as it has many different types of sections and corners and lots of elevation changes. 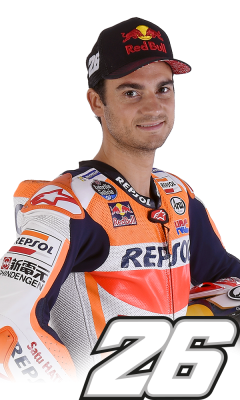 I also love the “American” style, with all the fans enjoying the sport and the fun at the track, so let’s get back in action and see how it goes there."